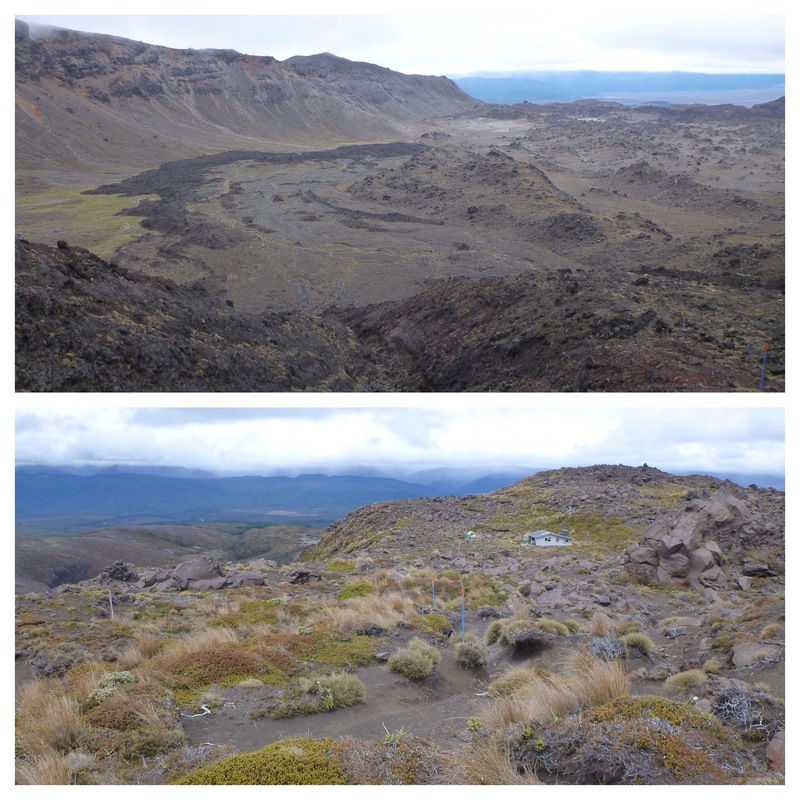 Tongariro is New Zealand’s oldest and most popular park. Encompassing a cluster of active volcanoes on the North Island, this area is sacred to the Maori people in New Zealand. But, per usual, European conquistadors and early settlers gave little regard to native people’s customs and beliefs. 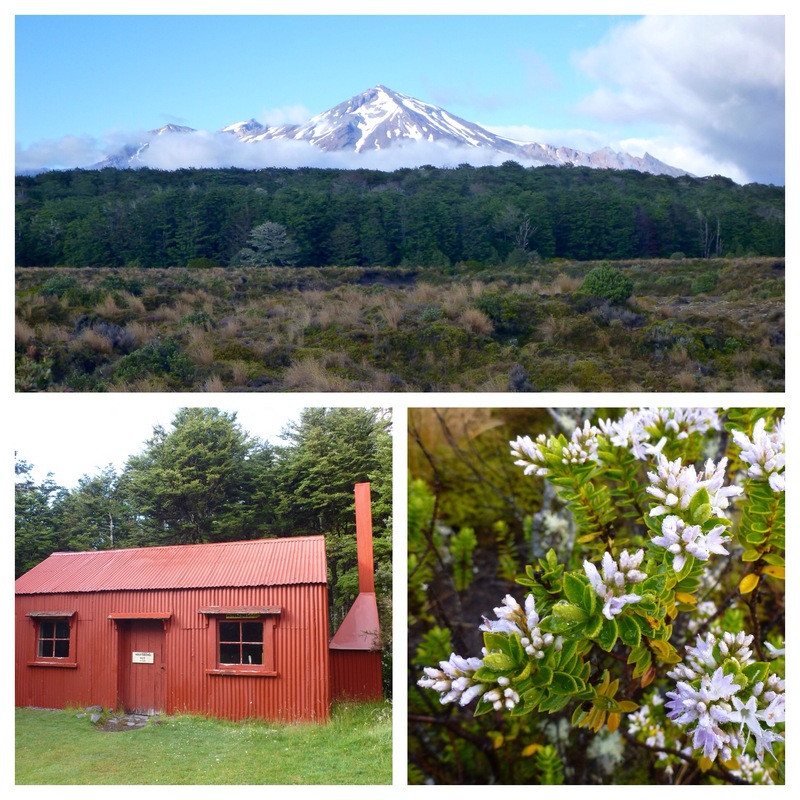 In 1887, in an attempt to protect their holy lands from white man demise, the Maori tribes gifted the 797 squared kilometers that surrounded their three gods (Mountains Ruapehu, Ngauruhoe, and Tongariro) to the people of New Zealand as a national park. Now managed by DOC, these majestic mountains that still steam, hiss, and sometimes shoot boulders into the sky, are now being tramped on by over 200,000 non-Maori visitors every year. As someone who is instinctively deterred by overcrowded mainstream attractions, I am forced to confront the argument that “things are popular for a reason” quite often. But with Tongariro, I don’t even attempt to argue. This park is popular for a very good reason. 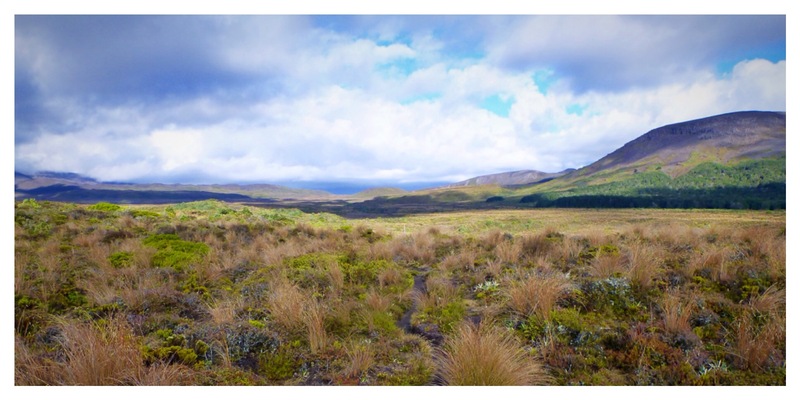 It is absolutely one of the most unique, rugged, and raw environments New Zealand has to offer. 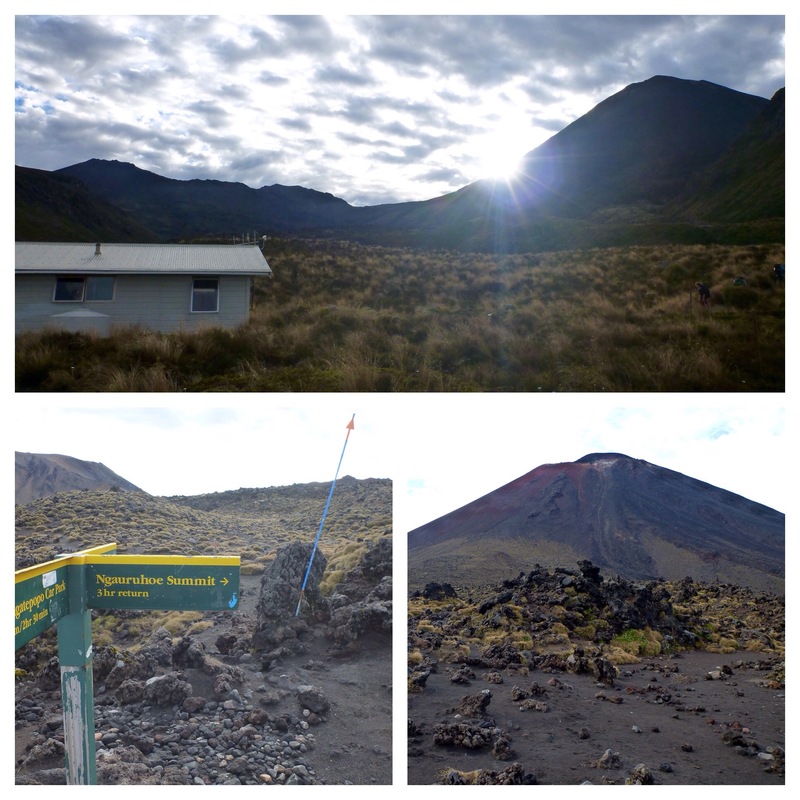 There are three main tramps in this park: 1) the famous one-way day hike over the Tongariro Alpine Crossing; 2) the remote 6-day Around The (Ruapehu) Mountain hike; or 3) the 4-day Northern Circuit trek around Ngauruhoe (recognizable to some as “Mount Doom”), the perfectly conical volcano pictured. 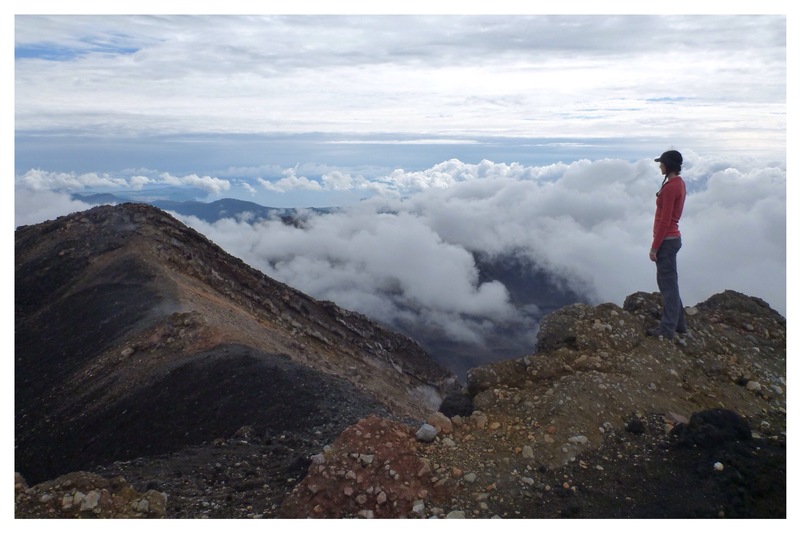 Since summiting Ngauruhoe (nah-roo-ho-ee) was on our must-do list, we signed on for the Northern Circuit trek. There are two ways to travel: you either plan ahead and book your itinerary in advance or you just show up and improvise on the fly. 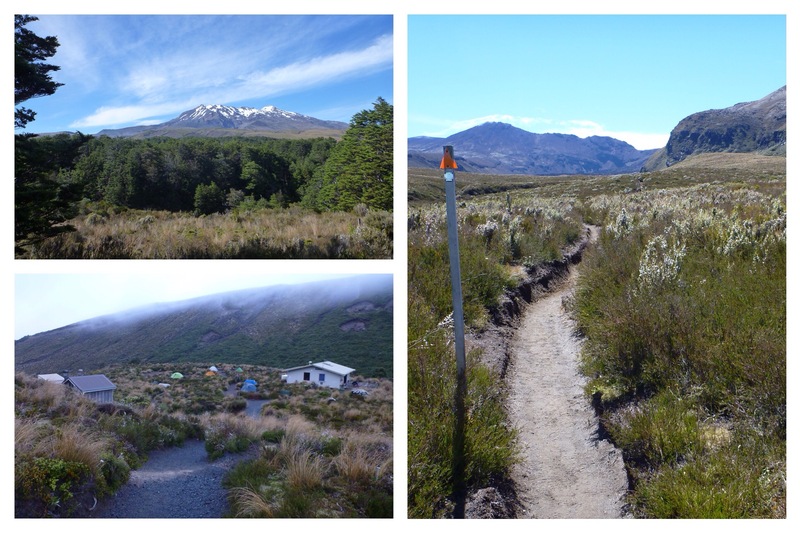 Most of the fellow travelers we’ve met have been doing the latter, which is great for adjusting your plans to the weather, but doesn’t lend for landing your ideal trekking route on tracks in New Zealand where camping and hut spaces book up fast. A few months before our arrival, we booked campsites along the Northern Circuit route. I knew I wanted to summit Ngauruhoe. I knew I needed good weather to do it. So, without the luxury of a 2-month forecast, I hoped to extend our chances by booking two nights at the Mangatepopo campsite. This would give us a full day to attempt the hike and use Mangatepopo as a basecamp. And an extra opportunity to catch Ngauruhoe on a good weather day. The circuit starts from a small ski village on the lower slopes of Mt. Ruapehu called Whakapapa. We did our best to avoid the midday heat and left the village by 9am, arriving to our campsite by noon. We were glad to see it. The weather was perfect. Blue skies. No wind. Blazing sun. With no shade for miles, we were overheated and under-hydrated. 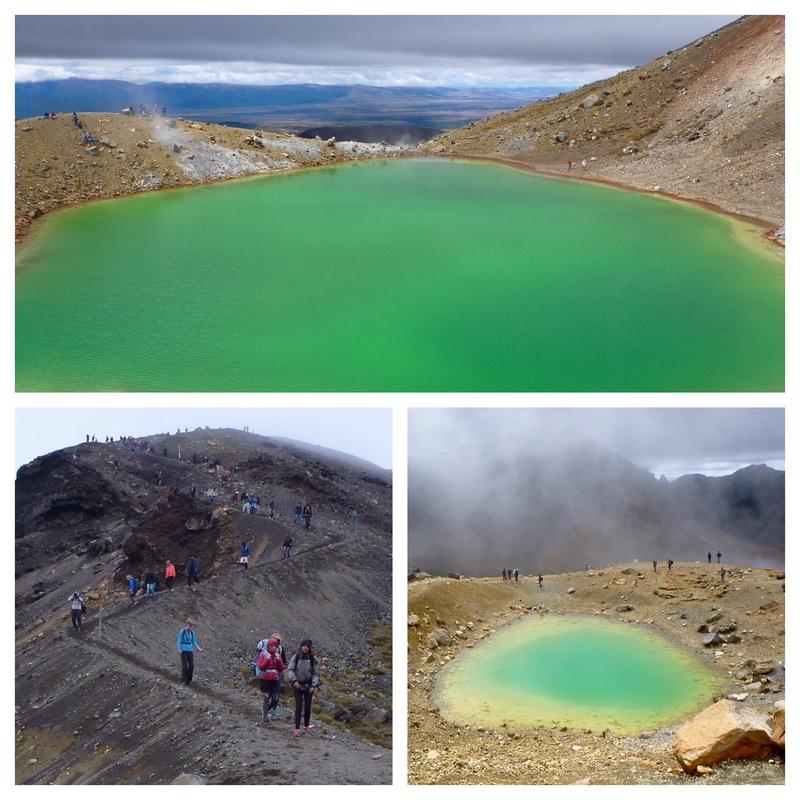 We ate a nutritious lunch–avocado, cucumber, apple, and cheddar cheese wraps–and watched other groups of trampers continue on in the heat of the day up the steep black lava flow to Ngauruhoe. We could not motivate to follow. We slept away the sunny afternoon, not knowing it would be our last. The hut warden got the weather forecast at 7 o’clock that night: clouds increasing through the today then rain. If we leave by sunrise, we thought, we’ll be able to climb our volcano before the weather rolls in. Wrong. The weather rolled in early. 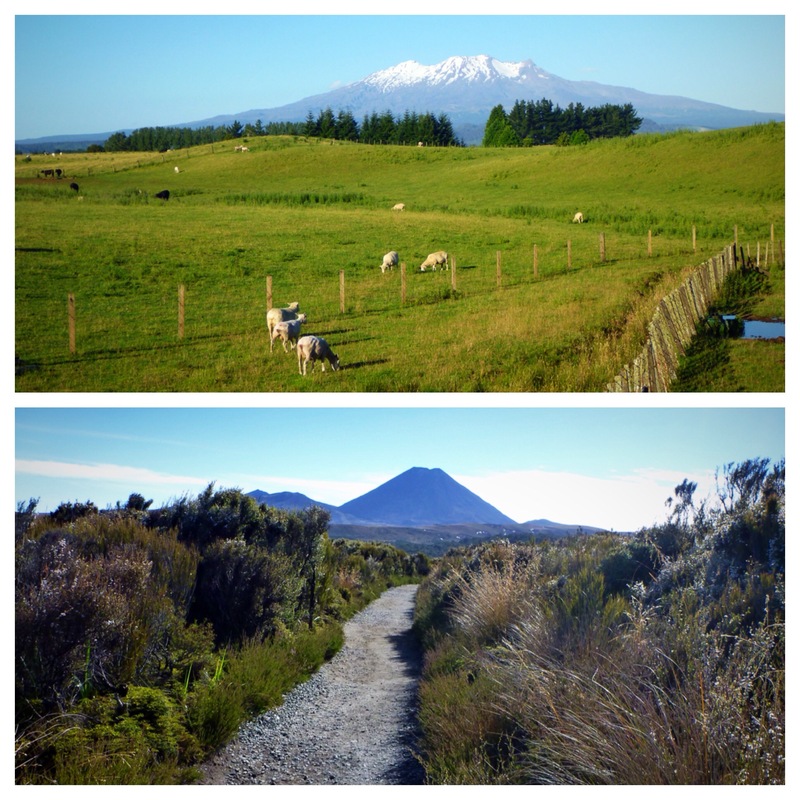 We began our approach to Ngauruhoe just as the sun touched its slopes, but it was pointless. Within an a hour we were at the base of the volcano and couldn’t see a thing. The wind was so strong I could barely stand upright. We ventured 100 meters into the fog. We could barely see each other, let alone the trail. We had to turn back. There was no point in attempting an unmarked, near vertical climb in poor conditions. So we tucked our tails between our legs and descended back to Mangatepopo just as the others were setting off. Another weather report came at 7 o’clock. Not good. Pouting, we resigned the notion we’d be able to stand on this iconic peak. But the next morning the weather was fine. 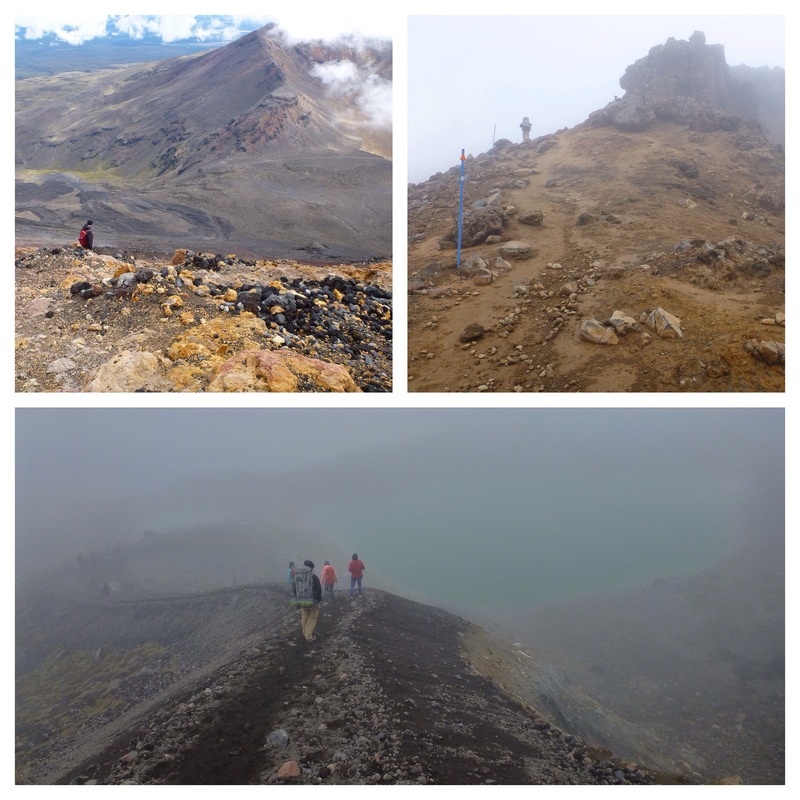 We hopped out of our tent, packed our bags, hoisted them on our backs, and scurried up (again) to where the trail splits to tempt you up Ngauruhoe’s side. Stashing our giant backpacks behind a boulder, we set off at fast pace. With one eye on the clouds lingering in the valley below, we scrambled up. And up. And up. For one mile, until reaching the lip of the outer crater. 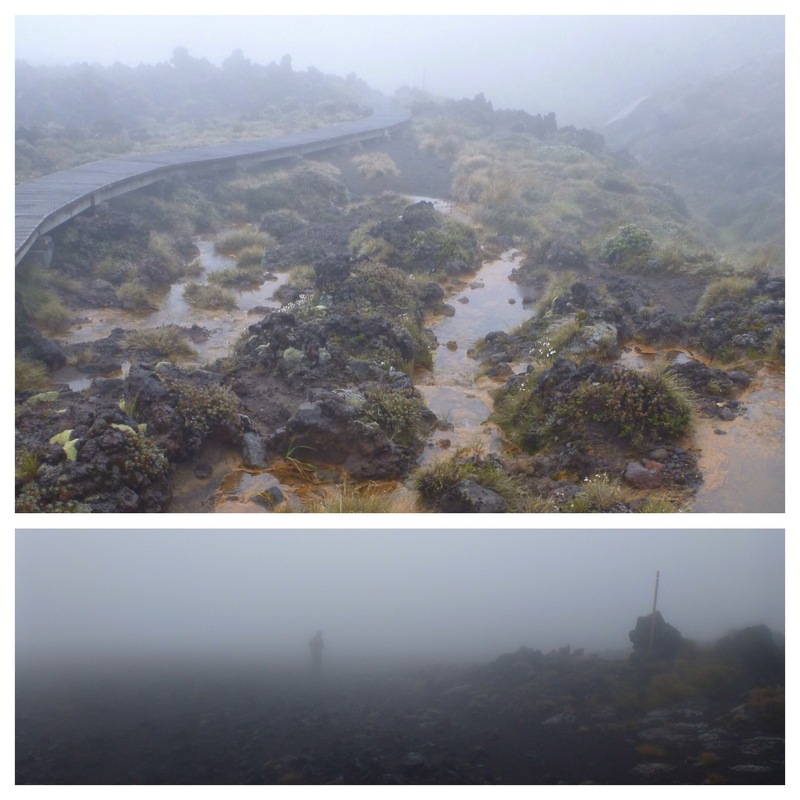 Standing in the volcano’s steam vents was a glorious escape from the cool, high altitude air. A narrow foot path follows the ridge line around the entire out crater. 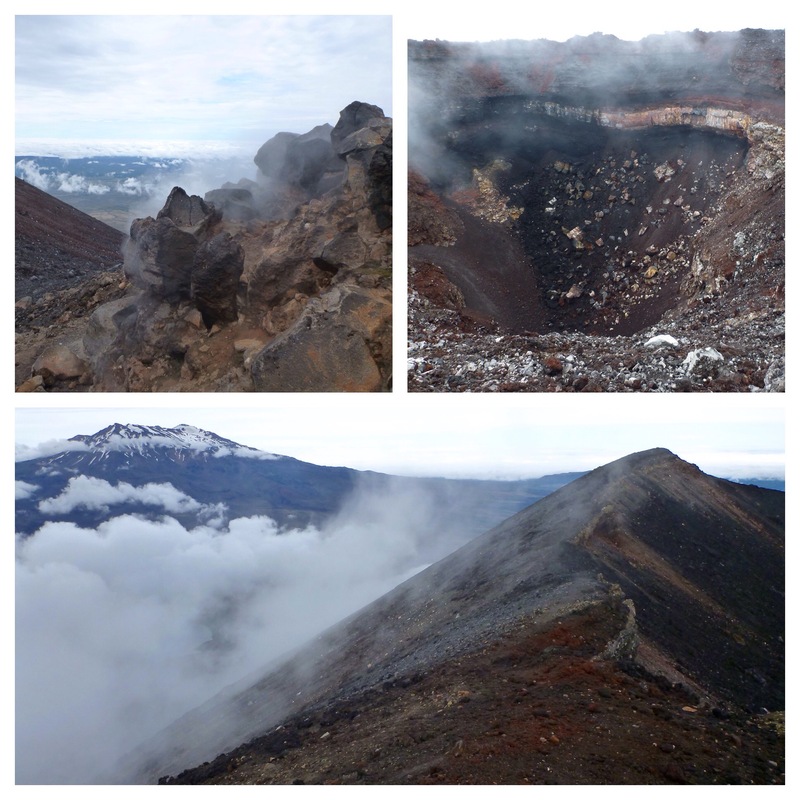 Then down and up again to the edge of the inner crater: the eye of the volcano. Fortuitously, this was our last view before the clouds caught up with us. The clouds moved in swiftly, giving us our cue to go down. 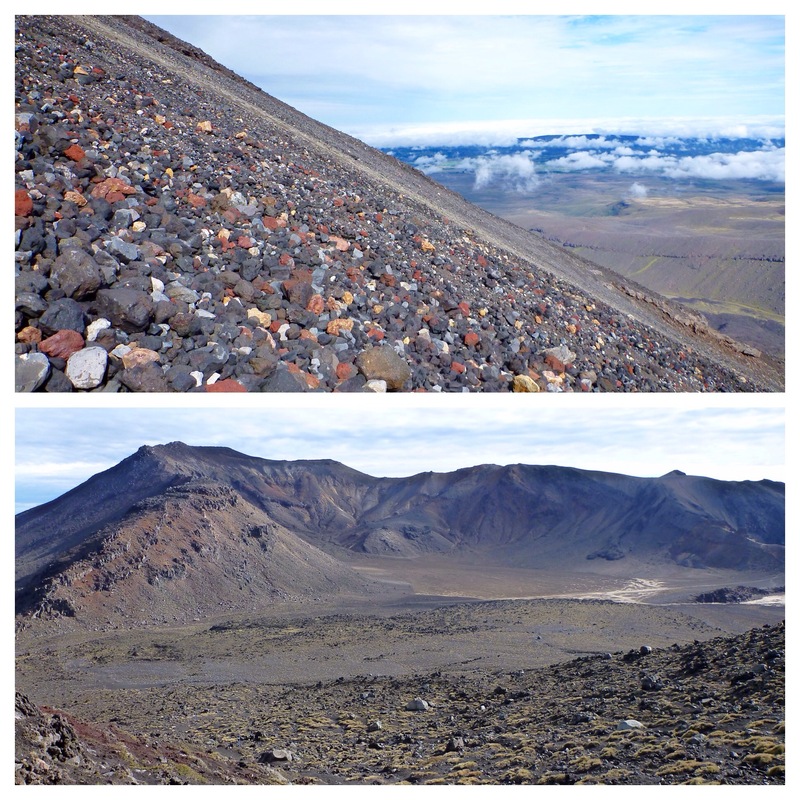 It had taken us a little over an hour to climb up, but it took only 20 minutes to run down the loose scree slope. At the bottom, our packs were waiting. Rejoining the herd, our tired legs carried those heavy sacks over those Alpine Crossing and down to the Otorere campsite. Though we saw nothing but grey for the rest of our hike, we felt like the luckiest people on Earth. We had accomplished what we had set out to do. And that was enough. The next morning, we decided to leave our stuff at camp and hike back up the way we had just came. Since the Aline Crossing is what has made this tramp famous, we figured it was worth another go at seeing it. Again, we got lucky. The weather cooperated. The clouds lifted just enough for us to see the Emerald Pools, the sacred Blue Lake, and an unnamed (but equally impressive) small lake with green and lavender reeds growing along its shallows. The most striking of all views at the Crossing, however, was that of the people. Swarms of people. More captivating than the glistening turquoise water of the Emerald Pools was the line of people coming towards us. Like termites evacuating their mound, the trail was lined with hundreds and hundreds of day hikers. As a backpacker (or tramper), you are privy to “hut talks” each night, given by the resident warden. 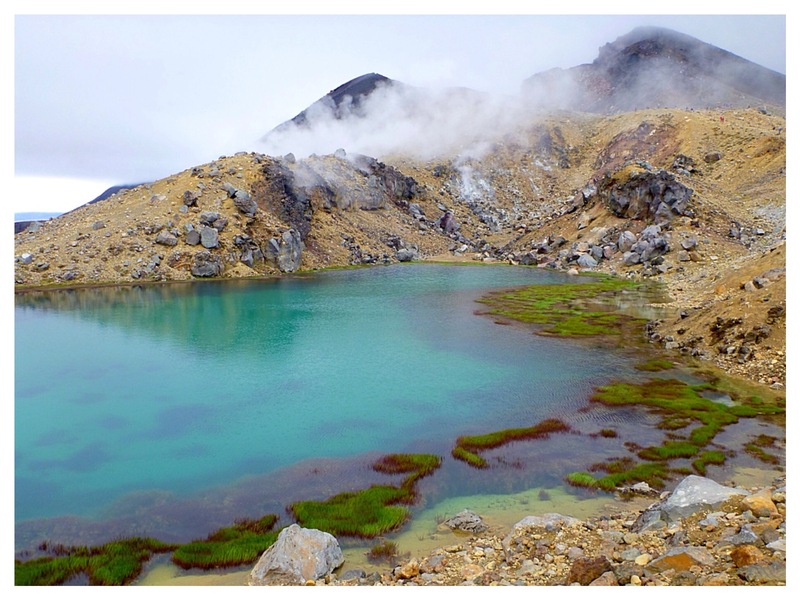 They vary in substance and hilarity, but our recent warden had informed us of the sacredness of Blue Lake and asked us to not get too close, to not eat, to not swim, to not even linger too long by the lake out of respect for the Maori customs. But arriving at Blue Lake, we encountered dozens of loitering day hikers fixing their lunches by the sacred lake. Although we could hardly blame them. It was beautiful, located at a natural resting point, and completely unsigned. Nowhere had DOC given tourists any information about the history, cultural significance, or fragile ecology of this place. (It’s not common knowledge that food scraps–or paper–will not biodegrade in high alpine environments). 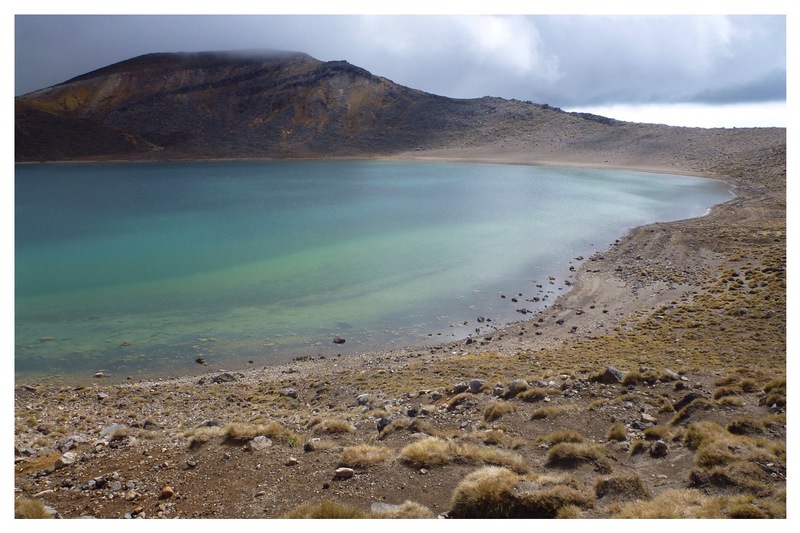 Ten years from now, it will be worth visiting Tongariro National Park again. By then, the Maori will have regained management of their land, so I imagine (and hope) it will be very, very different than it is today. 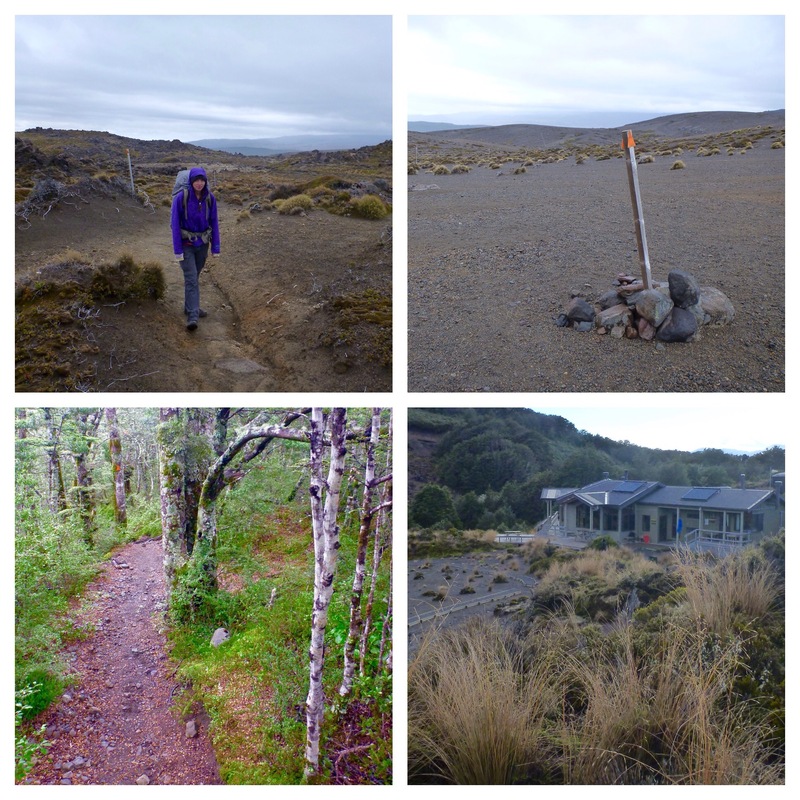 Returning from our back-track trek in the rain, we took our time getting to the last (and most glamorous) hut/campsite, Waihohonu. There, we met up with the friends we had made along the way for one last night of games, drawing on the diversity of our nationalities to nearly complete a New Zealand crossword puzzle. By the end of the Circuit, we had logged over 50 miles, side trips included. We limped off the trail, loaded our rental car with our dirty gear and a couple of Dutch hitchhikers, and set off toward our next stopover: Wellington, the “beer capital” of New Zealand.